The Madame Eviscerella Gown - a morticia esque slinky steamed velvet epic! 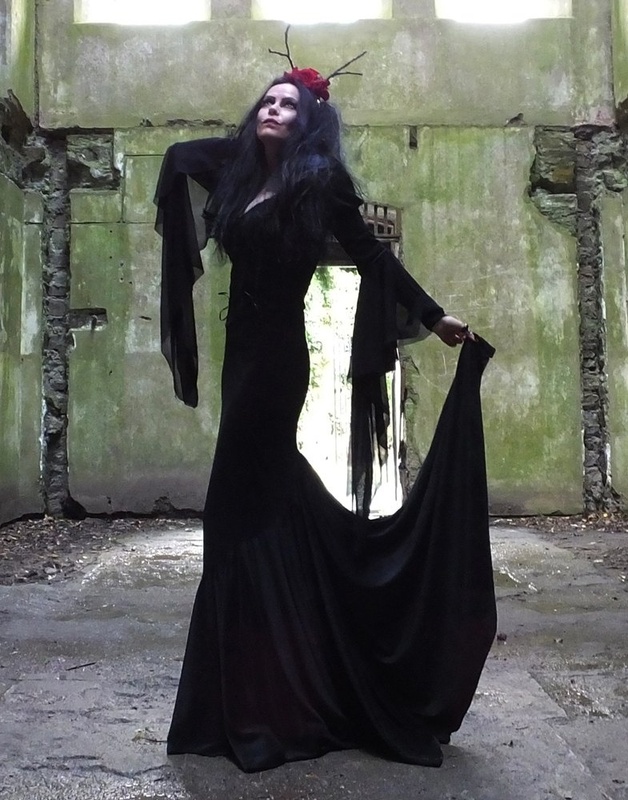 Our epic Madame Eviscerella Gown - A Morticia Addams Dress for the 21st Century! Made from gorgeous steamed velvet, the fitted bodice is panelled at the front, with braided looping and fine black ribbon lacing . The sleeves are puffed at the top, with fitted lower cuffs finished in a lace trim finger loop. Then there's a swishy gathered mesh outer cuff. Morticia Addams would *love* it!